Alexa tells about the traffic of any individual website. It shows website traffic of any website present on the internet. You can view any website traffic just by entering the URL. Alexa is very useful as many advertisers reward you with advertisement if your website is having good Alexa rank. Today, I will share 10 ways to increase Alexa rank of your website. Submit your Website to the Search engine. Visit your website from search engine. Install Alexa Toolbar on your Browser. 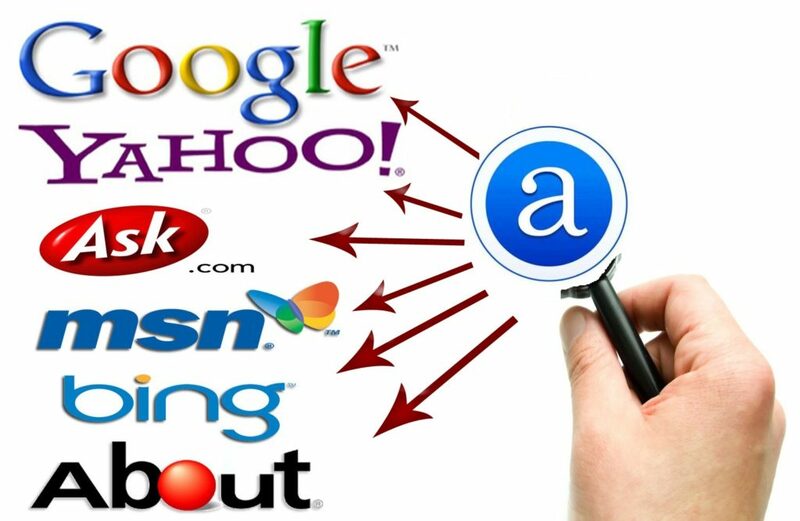 Submit your website to almost every search engines. It is very easy to submit your website to search engines. Never bookmark your website in the browser. Always write the name of your Blog on Google and then, find your website and click on it. This method will improve the visibility of a website on a search engine and will improve your Alexa Rank. 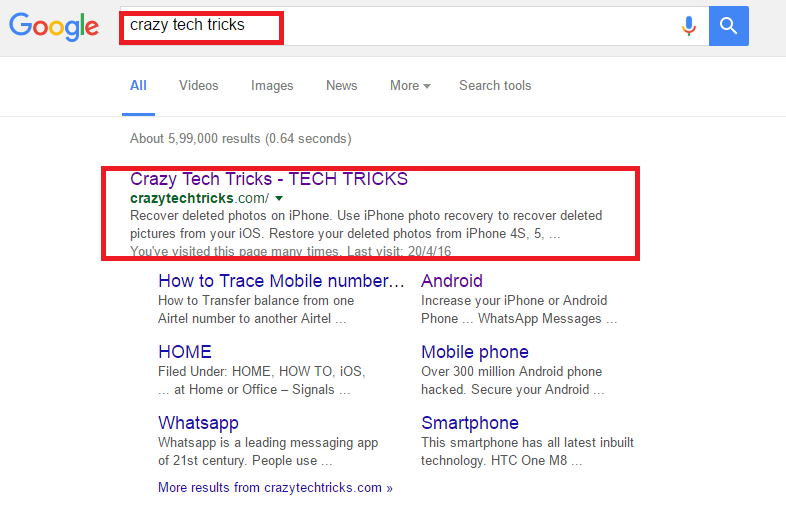 Write Crazy Tech Tricks on Google. Now, download Alexa Rank Widget from above link. Now, upload the plug-in to your WordPress website. Now, Enter the URL of your website and save. Note: Place Alexa Widget in your Footer area. Don’t place it on Sidebar or any other position. Click here to Install Alexa Extension. You can Install Alexa toolbar in any browser. You can install Alexa toolbar in Google Chrome, Firefox, Opera and Internet Explorer. Now, Alexa will ask about your Demographic and other personal information. Fill the information as it is very much important to detect the Audience country, Age and Browsing location. Alexa toolbar helps Alexa in getting real-time data. If someone visit your website and they have Alexa toolbar then, it will automatically improve your Alexa rank. If 5000+ people have Alexa toolbar and they visit your website daily. Then, your website will be ranked below 1000 Worldwide. Yes! You heard it right; commenting on another blog can improve your Alexa rank. Backlinks are one of the most important parts of Blogging. When you comment on a blog and write your website URL under website section. Then, you get follow back link. These follow backlink improve the trust of your website and improve the Alexa Rank. Always post unique content on your website. You can take referee from the blog post. But, don’t copy paste the same content in your blog. Always check your content on Copyscape and then, post on your website. Copyscape will tell you the % of your content copied or not. Now, Enter a Site URL and press continue. Now, create an account on Alexa. You can also use Facebook Login Plug-in. Now, it will show three methods to verify your website. Choose the one option that suits you and verify. Write daily on your blog or write at regular interval. Don’t skip the schedule of posting content in your website. If you write daily then, search engine robot will crawl your website and show you in searches. The more you are present in searches, the more visitors you get on your blog. Social media is one of the easiest ways to get the traffic on your website. Make a Facebook Page, Google Page and Twitter account with your website name. Social Media accounts help the website in Alexa and boost up the ranking. Tags are one of the important parts of the post. More the number of tags present in your post more the visitors you get on your website. Try to use a different tag for every of your post and also, repeat the tags. These Tags will help you in SEO and increase the visitors count on your Blog.